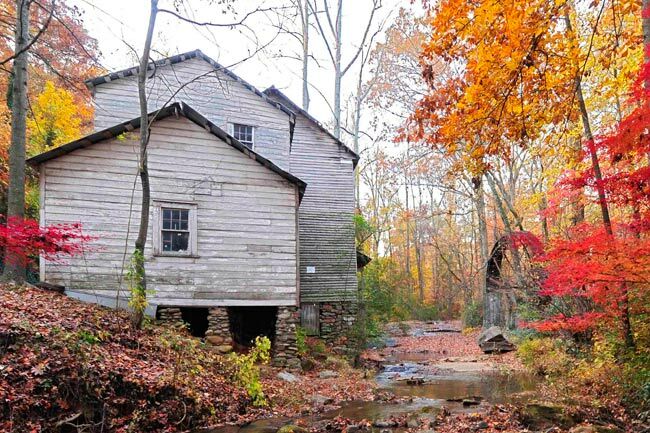 Gilreath’s Mill in Greer has been known by other names through the years – Bruce’s Mill, Heller’s Mill, and Taylor’s Mill – but is commonly known by its current name. Though the first recorded date of the mill’s operations is 1839, historians suspect that it may have been built as early as 1814. The property was purchased by Joel Bruce, who is credited with building the mill, in 1801. The water wheel is separate from the mill’s two-and-a-half story frame building. Gilreath’s Mill ground flour and cornmeal, supplying locals with food staples and earning its place in nineteenth century rural industry. 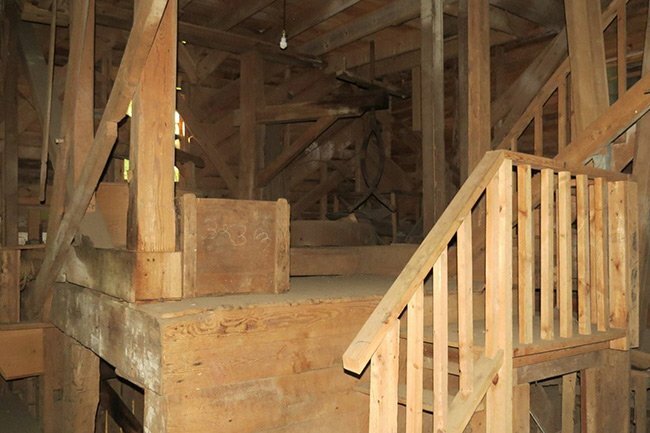 According to the South Carolina Industrial Census of 1860, the mill produced 1,750 pounds of cornmeal and and 60 bushels of flour during that year alone. 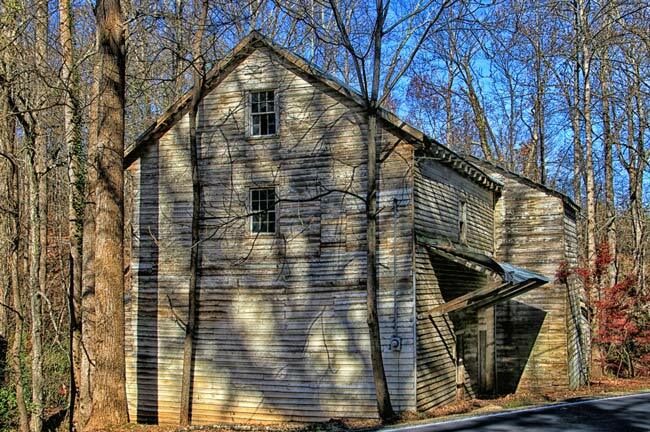 The mill also served as a gathering spot for people to socialize while procuring goods. 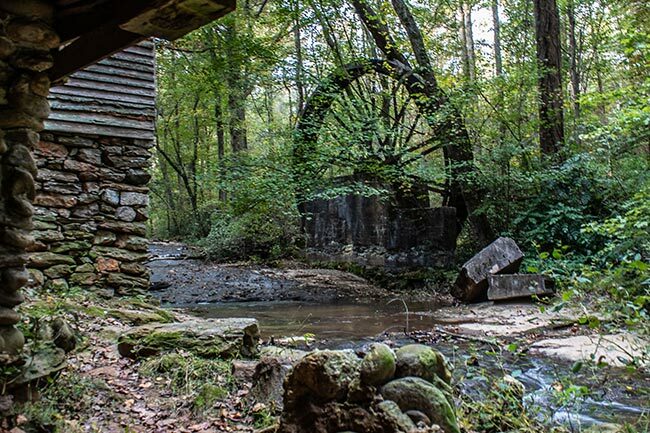 Gilreath’s Mill operated until 1950 and was powered by Shoal Creek and Clear Creek, branches of the South Tyger River. 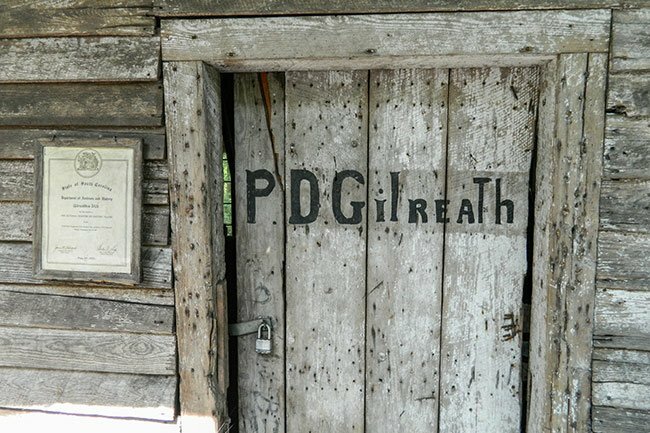 The property remains in the Gilreath family. 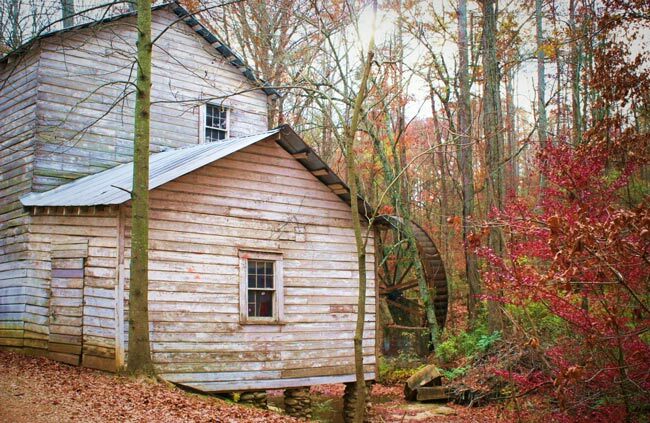 (Heller’s Mill; Bruce’s Mill; Taylor’s Mill) Gilreath’s Mill is one of the few remaining mills in South Carolina that recalls the vital tradition of rural industry. 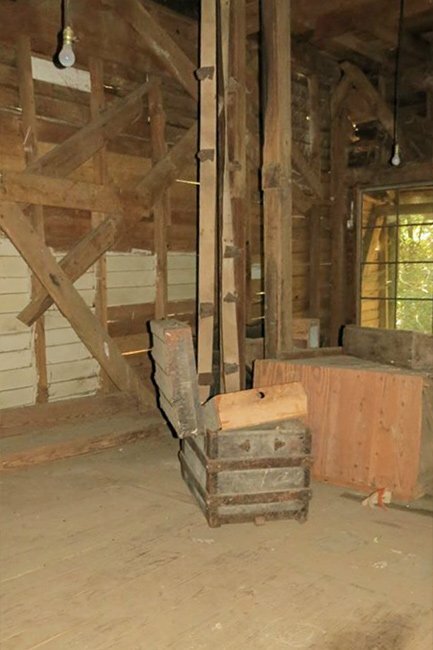 The mill is a two and one-half story frame building with a steep gable roof. Its construction date is unknown. Tradition dates it ca. 1814 but the first contemporary account of the mill is 1839. Other rooms on the present building include two gable-roof sheds attached to the north of the original section. The water wheel, separate from the mill, is southwest of the structure. Production of cornmeal and flour was essential to the people living nearby and therefore to the economic structure of the area. An example of the production levels of the mill is found in the South Carolina Industrial Census of 1860. Owned at that time by John Heller, the mill produced 1750 pounds of cornmeal and 60 bushels of flour. Value of this annual yield was $1750 for the cornmeal and $420 for the flour. Cornmeal and flour were strong commodities on a statewide level. In 1882, for example, Gilreath’s Mill was one of 720 grist mills in South Carolina producing 22% of all manufactures, second only to cotton products. The mill was an integral part of the social and economic setting of the area. 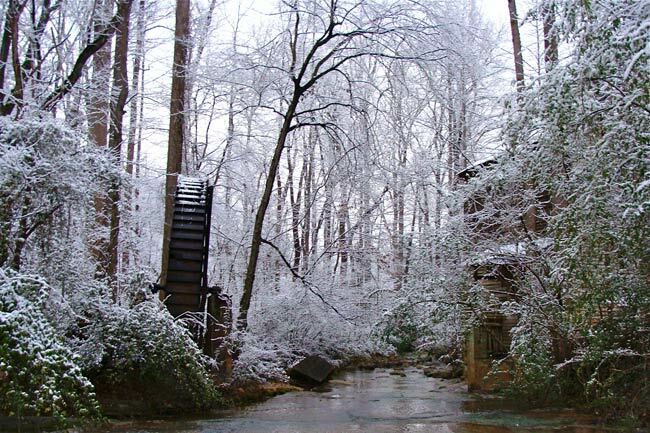 A means of procuring staple foods, Gilreath’s Mill was also a place where people could congregate. FYI: Whoever knows who owns the Gilreath Mill there is a tree that has fallen on the wheel and has got it in a bind. The wheel is stopped and leaning. 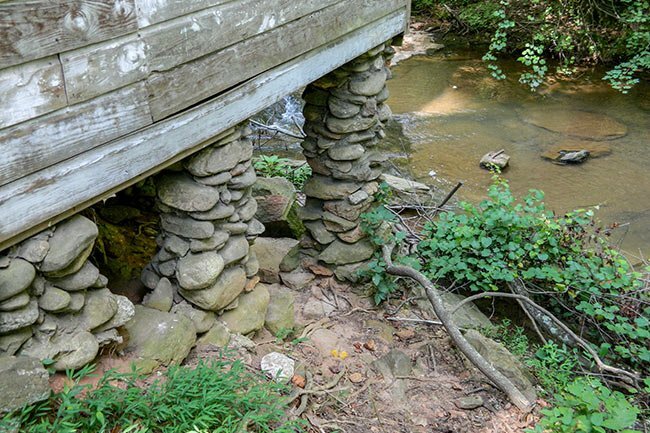 This mill is located on the side of the road, making it accessible from that point, but the property on which it sits is privately owned. Can you take photos on the property?